U.S. Veto: Speaking With Forked-tongue. The phrase “speaks with a forked tongue” means to say one thing and mean another or, to be hypocritical, or act in a duplicitous manner. In the longstanding tradition of many Native American tribes, “speaking with a forked tongue” has meant lying, and a person was no longer considered worthy of trust, once he had been shown to “speak with a forked tongue”. The U.S. tradition of speaking with a forked tongue is long and dishonourable, as the actions taken by the U.S. for its imperial and foreign policies are as indicated hypocritical, duplicitous, and untrue. Today’s vote at the UN continued this manner of dialogue as Susan Rice, the U.S. ambassador to the UN tries to explain why the U.S. vetoed the UN vote on settlements. Her arguments and reasoning, while rhetorically sounding firm, are at best duplicitous and at worst lying by evasion. Rice begins saying, “The United States strongly opposed continued Israeli settlement activity so our objection was not on that point.” Okay, so why then over the history of the ongoing settlements has the U.S. not done anything within its power to prevent the settlements. Words are fine, but as the Palestinians have learned on one side of the fence and the Israelis have learned on both sides of the fence, words simply allow more settlements to be built, more Palestinian land to be expropriated. If the U.S. actually wanted to do something, they could have held back many or all of the billions in dollars of aid that it forwards each year, and could have held back much or most or all of the military equipment and technology it has transferred over each year. Actions like those would speak much louder than words,. Rice continued, “The question for us was would this resolution and its adoption advance that goal of achieving an independent Palestinian state or cause one or both parties to dig in and make it even harder to resume the very necessary process of direct negotiation?” Well, yes, it would as it would signal that perhaps the U.S. is finally reading world opinion more correctly and is at minimum willing to change some of its rhetoric if not its actions. Two problems remain. First, the Israelis are already dug in, literally, as they have built their settlements, have built their barriers, have built their bypass roads, have built their waterworks and gas lines. They are literally dug into the Palestinian territories, as the Palestinians are slowly being ethnically cleansed from their own land. Secondly, the “process of direct negotiations” has always been and always will be a failure, as one side with no power of any kind cannot “negotiate” with a side that has all the power, and further has all the complicit and tacit support of the world’s largest and most powerful military and economic empire. That is sheer and utter hypocrisy – pretending to be good, moral, and ethical, while stealing what one wants – as the U.S. did in its imperial drive against the indigenous peoples of North America and as they continue to do so alongside Israel within the Palestinian territories. 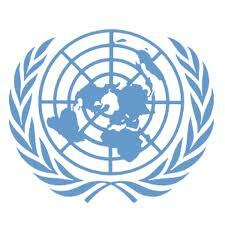 On the limitations of the UN Rice says, “The United Nations cannot create an independent state of Palestine. It won’t happen. It has to be negotiated between the two parties.” This is an interesting statement as it is part of the Israeli narrative of their creation that – apart from biblical claims and following on the Balfour Declaration – the UN “legitimized” Israel when it proposed the UN partition plan. The UN also created a series of mandates in the Middle East that the world did not seem to have too much trouble with, mainly because they carved the region up for the sake of mainly the British and French imperial interests of the time. There is no reason, other than U.S. obstructionism, that the UN could not make a declaration that there is a state of Palestine in such and such an area. Many countries of the world, more recently the South American countries, have given recognition to a Palestine using the ‘green line’ of the 1948 war as the border. The green line is an amazing concession of territory on the part of the Palestinians, giving up eighty per cent of their territory for peace and a small remnant of their former territory. I have already discussed the uselessness of negotiations. In addition to my earlier comments, the recent exposure of the Palestine Papers by al-Jazeera should demonstrate that, yes, there were partners for peace, and even more, partners for capitulation. The Palestinian Authority does not have legitimate authority to negotiate a settlement on behalf of any of the Palestinian people other than its own cronies and quislings attempting to preserve their elite and relatively more powerful and wealthy positions while being subservient to the Israelis. There is no legitimate authority at the moment to negotiate with – not because there are no “partners for peace” as the Israelis and U.S. have always claimed, but because the Palestinians have not been allowed to create a truly democratic and representative bargaining committee consisting of representatives of the common people of Palestine. As for the UN declaration, Rice says, “We can have declaration after declaration but at the end of the day they don’t create facts on the ground.” Well, truthfully they do, Israeli facts on the ground, as the U.S. provides a smokescreen of useless rhetoric and the lie of neutrality. This can only be read as that the duplicity, lies, and dishonesty are consistent traits of all U.S. administrations. And even though Obama campaigned on “hope” and “change”, and then made a sort of wonderfully conciliatory speech in Cairo (and the world knows what is happening their and elsewhere in the Arab world) he too has accepted as part of his worldview that speaking with a forked tongue works well in the world of U.S. diplomacy. When questioned on the difference between “legitimacy” and “legality”, Rice came up with the latter statement above on the thirty years of forked tongue speaking. The reality of international law is that the settlements are illegal, under several sections of the UN Charter and the Geneva Conventions. Part of international law, developing from the Nuremberg trials, is that being passive in the face of internationally illegal activities makes a party complicit with the crime. The U.S. is guilty of international crimes by supporting the Israeli crimes in the Palestinian territories of the West Bank and Gaza both materially and politically, as well as supporting their illegal attacks on Lebanon. The goal of the U.S. as stated by Rice is laughable, “The goal is to achieve a viable, independent, contiguous, and democratic Palestinian state.” Let’s work backwards on this one. When a democratic vote was taken in Palestine in 2006, Canada (being the first), the U.S., the U.K., the E.U., and other U.S. mercenary states disallowed the vote and took concrete actions, in the form of money transfers and training of the PA authorities militias in security measures that could be used against their own people. The U.S. plays loose and fancy with democracy, and again recent events in Egypt, Tunisia, Bahrain, and Yemen among others demonstrates the lie of the U.S. rhetoric on democracy (with U.S. puppet regime of Saudi Arabia remaining silent). Next, a contiguous state is declared the goal. This in total denial of the hypocrisy, the double standards, the basic ignorant stupidity of all other statements about stopping settlement activity. There is no contiguous state, only a series of cantons or bantustans, or enclaves, perhaps prisons will do. This will not be undone through a series of false front negotiations that the Israelis will gladly continue for the next sixty years as they continue to claim Palestinian land. Viability and independence are next. Another set of impossibilities for negotiations, and another full on ridiculous statement in light of the so called peace process and its total failure to do anything but create more Israeli inhabited territory. The U.S. has continually used its forked tongue for its own benefit in any “negotiations” it has carried out. This originated from the first negotiated treaties with the indigenous people of North America – at least those that were not simply outlawed and made subject to massacres and murder without recourse to any law of any kind. It continues today with its UN rhetoric and with its rhetoric about its concerns for Palestine and Israel. No matter how nice and kind and civilized its word, its actions are illegal under international law, and basically barbaric when it comes to human common sense. As the empire unravels, even with the violence that accompanies that, it will be better than the violence of the forked tongue empire.